If you've searched for healthy recipes on Google, you've probably found SparkPeople. SparkPeople is the largest free online weight loss community with millions of users across the world, offering calorie and exercise trackers, community forums, articles and great social media support. I've been a member of SparkPeople since about December 2012, when I had a little over 10 pounds to go until I reached goal. I've found it to be helpful, keeping me accountable and also keeping me on top of great-tasting healthy recipes. I recently submitted myself as a success story, and was asked to be featured on SparkPeople Radio as a feature success story interview. I happily accepted, because as this blog has likely insinuated, there's nothing I love more than talking about myself and my weight loss. I recorded my interview this past Thursday (October 24) and the podcast on which I'm featured came out today. I invite you to check it out at http://www.sparkpeople.com/myspark/sparkradio.asp -- if you are reading this past the week of October 28 and have to dig through back episodes, my two-part interview is included on Episode 52 (back episodes located here). I'd love to know what you think about the interview and encourage you to sign up for a free SparkPeople account! It's a great, supportive community on there and it's been a great resource for me. Just over a year ago, I finished the Big Ten Network 5K race -- the first race I had ever actually tried to run. I jogged a good majority of it, and finished in a little over 40 minutes. For the next two weeks, I was so sore from the race I could barely move. But as soon as I could move again, I started running, beginning the Couch to 5K program. Fast forward to today, October 23, 2013, three days after my first half marathon. I quit being sore on October 22. That's right, on October 20, about 14 months after I started my love affair with running, I ran my first half marathon in Des Moines. No, my time was not ideal, but I was coming off an extremely recent injury and thus had not been able to finish my half marathon training in time. But regardless, I finished it. Several months ago, my Des Moines-based aunt, who used to do Ironmans and at age 55 continues to run marathons and organizes the Drake Relays, was happy that I had lost a lot of weight and had done it through running, and she invited me to participate in the Des Moines Half Marathon. She and my cousin were using the half as a training run for the 2013 New York City Marathon, for which they were registered last year, but obviously Superstorm Sandy cut that trip short in 2012. It took me a long time debating on the issue, but I finally took her up on her offer. I was well into half marathon training when disaster struck: injury. Suddenly, I experienced debilitating tendinitis in the back of my knee, which then extended to a very tight and sore area in my calf that swelled tremendously (to 1 1/2 inches bigger than usual) when I ran at all. It was like running with a giant rock tied to my calf -- huge, hard, and completely inflexible. I'd been on track to complete my training just in time, but because of the injury, I missed the last four weeks of training for this race. Physically and injury-speaking, I felt good heading to Des Moines on Saturday, certainly well enough to run. However, I'd run about nine miles total in the past three weeks, and felt horribly undertrained for the race. But I tried not to think about it. I headed off for Des Moines early Saturday morning and arrived to my aunt and uncle's house early in the afternoon. Afterwards, we drove on the course route for a while as I followed along on the course map we'd received at the expo. It wound through a park and then around a lake, and over bridges crossing the Des Moines River. I cannot deny that it was a very beautiful course -- and extremely flat, perfect for my first half marathon. We headed to the Locust Street Bridge over the Des Moines River, where the race started and finished, and took our positions. The gun went off and we began. My aunt, cousin and I ran together for about the first three miles, through the road part of downtown Des Moines. My cousin, who ran cross country at DePauw University, is obviously a lot faster than me, so she let us know she'd be breaking off at the half marathon/marathon split (when the two races split courses at about Mile 3) to run a bit faster. At that point, I was still feeling pretty good. I'd been running at a comfortable pace and wasn't feeling any pain. Just after the split, I got a bit toasty despite the sub-50 degree temperatures and I shed my jacket. For a while, I felt fine. A bit slow because of the long injury layoff, but fine. Then, around Mile 5, my left hip flexor, for no foreseeable reason, started screaming in pain. I had to pull off to the side after a water station and stretch it a bit. And had to continue to do so after almost every aid station thereafter. Probably because of my undertraining, around Mile 8, every step I took felt like a massive effort -- my legs simply did not want to keep moving forward. Then, at Mile 10, likely a result of my GERD, I started having a lot of trouble breathing. And I don't just mean the "in my head" trouble breathing. I started wheezing and eventually, around Mile 11, I told my aunt we had to stop because I literally could not draw breath. It was a little bit upsetting, because not only had I worked so hard to get there, but also because I felt like I was letting my aunt down, and also like I was wasting this gorgeous course and my first half marathon experience on my muscular and breathing issues. So when we finally approached the finish line, my aunt encouraged me to go into another gear. We bolted for the finish, blowing by the spectator-lined home stretch on the Locust Street Bridge and triumphantly crossing the finish line. Crossing that finish line after running 13.1 miles, I was pretty emotional, just thinking about how far I've come and how even a year ago, I would never have conceived this possible. A year ago, it took me two weeks to recover from a 5K. By Tuesday (the race being Sunday), I felt healthier than I had in several weeks, since I wasn't having any tendinitis or calf pain, and my hip flexor pain from the race had dissipated. Yes, I was hoping to complete this half marathon in 2:30 or under, and that didn't happen, but the ultimate goal of my very first half was to finish it. And I did that. I finished it in a "jogging" time, not a walking time. I earned a very shiny medal that says "Half Marathon" on it. This half marathon goal was just to finish. Subsequent half marathons will be my time to shine and get a better time. I'm looking ahead to January, to the F^3 Lake Half Marathon I will be running. Now healthy again, I will be resuming my half marathon training and bettering my endurance so that this January half will be more successful. I excel in cold weather running anyhow (my 10K PR was in freezing rain and icy conditions). I'm so excited for having done what I did, and for what the future holds. People keep asking me if now I will run a marathon. I can't answer that. I don't know if I can or am willing to run that. Yes, I wanted to drop dead after my first half marathon, but a) it was my first half marathon, and b) my undertraining due to injury was evident with my hip flexor and breathing problems. But I actually really enjoyed the half marathon distance. I didn't even run with any music, and it did not even feel like I was running for nearly three hours. If I can do this distance without pain or breathing issues, I can envision myself really excelling at this distance. It's completely surmountable, and that makes me think that in time, a marathon could be completely surmountable. As for the race itself, I think it was extremely well done. Packet pick-up, besides the jacket mishap, was fairly flawless. I adored the beautiful, scenic, flat course. Aid stations were well stocked, not only with fuel, but also friendly volunteers (gotta love Midwestern hospitality). Portapotties were plentiful throughout the course. What mostly impressed me was the spectatorship, which was pretty remarkable throughout the entirety of the course. The bridge home stretch finish line was totally stacked with cheering spectators, which really pushed me toward the finish. The finish line goodies at the end (food, drinks, etc.) held a very impressive array, with sandwiches, pizza, yogurt, chips, bagels, sliders, I could go on and on with how much food they gave us! I'd absolutely do Des Moines again. When I'm better at the distance, I'm sure I will enjoy the experience that much more. However, next year, my target race for this particular weekend is the Runner's World Half Marathon Festival. Taking place in the shadow of the old Bethlehem Steel mill, it would be a course close to my heart, as my grandfather (this aunt and my father's father) worked at Bethlehem Steel for his entire career (probably 10 years of it at that Bethlehem mill). I'd definitely like to thank my aunt, uncle, and cousins for their incredible hospitality and support for this race. Not only did they welcome me no holds barred into their home for a weekend, but my aunt also sacrificed her usual pace to run with me and deal with my stoppages, struggling and coming off injury. I have no shame in saying that I am damn proud of myself. I never would have thought this possible. But I am a half marathon finisher. And this is only the beginning. I know that my friends consider me "the runner" of the group and totally figured I'd be running the Chicago Marathon. In fact, I was flattered when I went shopping at the Chicago Marathon Expo on Saturday and most vendors thanked me for my purchase with a "have a great race tomorrow" and I had to correct them (sometimes). I guess I look like someone who can run a marathon, which is pretty amazing for where I used to be. But regardless, no, I did not run Chicago. I have only been running for a little over a year and I have my first half marathon one week from today. I'm not even close to being ready for a full marathon. I don't even know if I want to do a full marathon (we'll see after my half if I'd at all consider that). But I found another way to get involved in the 2013 Bank of America Chicago Marathon. My running club, Oak Park Runners Club, has manned Aid Station 13 (just before the Mile 18 marker) for over 15 years. I certainly wasn't going to be running the marathon, so I signed up to volunteer. We arranged a small carpool beforehand, and I drove three of my fellow OPRCers to the aid station at Taylor and Loomis in the Little Italy neighborhood of Chicago, in the shadow of Rush University Hospital. Obviously the traffic was light at 6:30ish on a Sunday morning, so we arrived at the station just before 7. Our club had already been setting up well in advance, so we signed in, got our credentials and sweet BoA Chicago Marathon jackets and hats, and asked what we could do to help. I was assigned to take empty gallon water bottles (after filling cups for the tables) to the recycling truck. So I went back and forth between the sidewalk and the truck for a good hour or so (I would like to thank Albert from Chicago Streets & Sanitation for being so kind and helping with that). After what seemed like only 15 minutes, the alarm was sounded that the first of the wheelchair racers were coming through (their wave was the first at 7:15). It was so inspiring to see these folks pushing through. I can't even imagine how exhausting it would be to push my own wheelchair through 18 miles, let alone 26.2. Soon, the elite runners started to come. None of those folks were going to be taking any water at our station, so I stood and watched and clapped as the lead pack came running through, following a car with their time ticking on top of the hood and a big television camera on a golf cart-type vehicle filmed them from their front. Shortly thereafter, American Dathan Ritzenhein came through by himself (he ended up finishing 5th). After the remainder of the major elites went through and the field started widening a bit, it was time to shine. I fully admit, I was totally terrified to be handing water off to people. I'd never done it before, and as a runner, I know how much this race can mean to people. I didn't want to totally miff a handoff, or even worse, dump a cup of water on a runner unintentionally due to a miffed handoff. However, when I handled my first few handoffs, it was actually very easy. Being a runner, I know that it's easiest if a water person sort of moves their hand a bit with you as you take it so there's minimal spillage. So I used that approach, and stayed dry for most of the day (only excepting when a runner quite unintentionally tossed a half-full water cup right at my foot and it splashed all over my leg) and had almost 100% flawless handoffs. Only exceptions were if someone did a sneak attack and did not look at me or indicate at all that they were taking water from me just prior, then the handoffs were not so smooth. Once we got to the "normal folks" (i.e. what I would be) of the race, it got a bit more crowded and I was absolutely loving it. People were so thankful to us for volunteering, and I was just trying to cheer on as many folks as possible. The whole experience was just so uplifting and positive that I was totally inspired. It almost made me want to run a marathon. For a moment, I literally thought "a marathon wouldn't be so bad!" I was so pleased with the whole experience and how fantastic the runners were (literally, I did not encounter one unkind or rude runner) that I wish there was a marathon every weekend. I would 100% volunteer again, as it was a truly fun and inspirational experience. We had great tunes to last throughout the day, and I was in good company with my running club. It was especially, er, special when a fellow Oak Park Runners Club member who was racing came through, as we all shouted and yelled encouragements to them, and I wasn't as nervous handing off water to my running club friend Keith, etc. as they came through. Literally, I've always been of the mind, even now, that I would never want to run a marathon, because 26.2 just does not sound fun to me. But after working Mile 18, it almost makes me want to run a marathon. It makes me think that I could, if I really wanted to. We'll see, but I know now that I absolutely could do it. I'd like to thank the wonderful people who ran Chicago today (you guys were beautiful and amazing and so kind!) and my fellow volunteers who made my job easy and fun. Congratulations runners, I am so proud of you! I wanted a good, nearby, neighborhood 5K to race prior to my October 20 half marathon. I'd picked a race on October 6 and registered, but it then got cancelled and so I was race-less. I kept up my radar and less than a week before race day, I signed up for the Itasca Oktoberfast 5K. The swag bag looked pretty sweet (a long-sleeved shirt and a tech beanie?) and the small entry was very appealing (registration is capped at 750 registrants -- this year's race ended up being about 650 according to race management). However, about two days before the race, and two and a half weeks before my first half marathon in Des Moines, disaster struck: injury. A bout of popliteus tendinitis, which I have never before faced, cropped up and made it very difficult to move. Thankfully, I am a CARA Member and have access to the free NovaCare Injury Hotline, which I called on Friday before the race. The physical therapist on the phone said that I should be OK to run provided I was not in debilitating pain, and obviously to take it slow and stop immediately if I was feeling that something was very wrong. Saturday morning, I woke up with my leg feeling slightly better than it did the day before, but it was still pretty iffy. Either way, I planned to go to Itasca to pick up my packet, since I paid for the shirt and such. Once I got warmed up and walked around a bit, I felt that I was OK to go, albeit slowly. Packet pick-up was smooth: with the small entry, I didn't have to wait at all, and I got my bib and full packet in a matter of seconds. The shirt admittedly is quite cute. It's not a tech shirt, but I still very much like it. The gear check was the equivalent of a mom-and-pop operation, which I loved, as my bag was one of about ten checked. We headed to the start line about 10 minutes before official start, and the gun went off. I set about jogging slowly. By the end of mile 1, I needed a bit of a walk break since my calf was burning, so I took one. It was sort of liberating racing without the pressure of feeling the need to PR. I knew I wasn't going to, so I actually (despite my pain) enjoyed the race. At my slow pace, I was able to enjoy the course, which featured some lovely homes along the way. The roads of the course were entirely closed off, so the course was quite wide open and I never felt like I was going to be bumping into people. Volunteer direction was great, so there was no chance of getting off-course. After the race, free brats, hot dogs and bagels were available (including some lighter turkey brats). Racers over 21 enjoyed basically unlimited beer courtesy of Samuel Adams (Oktoberfest was being poured from a mobile truck draft). Overall, I really enjoyed this race. The small entry was fantastic (sometimes you really just need a small entry race for some room), the unlimited beer and brats made it seem not only like Oktoberfest but also like true Illinois. The age group/team awards looked pretty sweet too -- beer steins, medals, trophies, etc. I actually would have gotten 5th in my age group under normal circumstances, but as it was, I ran a 35:55 while suffering with popliteus tendinitis, which is pretty good considering. But that's the benefit of these smaller races is that you actually have a chance to place in your age group, particularly if you're in a popular age group like me, 25-29 female, which seems to always be the largest age group. I'd absolutely do this race next year. It was nice and low-key, small entry, nice course, and the swag bag and post-race amenities were very nice. Thank you to the Itasca Runners Club for this great race! In early 2011, I had been living in Washington, DC for nearly 8 years, was a huge fan of The Walking Dead, and I heard about this local thing called the Run For Your Lives 5K race, where you literally run from zombies and through obstacles. I really wanted to do it, but it was way out nearly to Baltimore, and I didn't really have a way of getting there. Not to mention I was about 230 lbs and probably in no shape to run from zombies. In late 2011, I had moved back to Chicago, and I figured I would never be able to do Run For Your Lives, as it was only in Baltimore. However, the original zombie race (forget these "Run from the Undead" or other zombie races, this literally is the original) was so popular out in Baltimore that in 2012, they expanded. The closest race to Chicago in that first expansion was St. Louis. Whomp, no go. In late 2012, the 2013 "tour" was announced. Northern Illinois was on the list. I signed up immediately, probably the farthest out I have ever signed up for a race. I signed up in November 2012. The race took place today. I woke up when my alarm went off and my heart immediately began to pound, I was so excited. I've been waiting to do this race for over two years, and the anticipation was killing me. I gathered the packed change of clothes, towel, and various other things and headed out the door for the two-hour drive to Byron, Illinois, just southwest of Rockford, and smack in the middle of what I believe would definitely be considered as, to put it lightly, bumble****. It was a great setting though. After getting off the expressway and driving through corn farms for half an hour, just about two miles from the motocross track, I came upon two massive smokestacks belching white smoke high into the air. Byron, as I found out, is home to a large power plant. The huge smokestacks gave a little bit of that apocalyptic atmosphere you want for a zombie race. The course was set on an actual motocross track, and the first thing I saw approaching the course was hills -- lots of them. Damn. There are no hills in Chicago. As I continued around the perimeter of the course to registration, I saw some of the obstacles, which vary by location and are kept secret from participants. I saw an army crawl through mud under barbed wire, several tall hurdle-type obstacles, jumps over six-and-a-half-foot tall bales of hay, etc. I got a little nervous as I remembered that my upper arm strength is approximately nil. I won't go over all the obstacles in detail in order to save the spoilers, but remember that they do vary by location. However, there is one constant: the veritable gauntlets of 8-10 zombies scattered throughout the course. After checking in and getting my bib, I found a spot near another participant to pin it on. The triathlete mom, as I later found out, struck up a conversation. She was by herself too (her friend was still far away on the road), and she was in my 10:00am wave, so we decided to team up. After all, safety in numbers is the name of the game. Before our wave start, we watched some of the other runners out on the course, and immediately recognized that you're better off in groups. Some of the first people to cross the finish line were all by themselves -- and "dead" despite looking like, and likely being, marathoners. In groups, zombies are forced to pick one person at a time, so you have a better chance of being able to slip by in a large group of runners. We edged to the start at 10:00am, my heart exploding in excitement for this race I'd waited two years to do. We started off, faced an obstacle, and immediately thereafter was the first gauntlet of zombies. It was time. I broke into a sprint (as we all did), dodging zombies dressed as businessmen, prom queens, nurses, all of them hungering for the flags around my waist. I didn't make it through the first gauntlet unscathed -- one flag gone, two remaining. Time for the army crawl through the mud under barbed wire. The twist that was probably unintentional -- underneath the mud was rocks. As I sit here typing, my knees are cut up, scraped, scratched, and bruised -- and I was wearing capris that covered my knees. The palms of my hands are not much better. Immediately after slopping out of the mud, we were trying to shake some of the mud weight off of us, but we didn't have time: zombies were immediately sauntering toward us, and, kicking up mud, we slid through them. I made it through that gauntlet without losing another flag. However, by the time we went through two more gauntlets (and some other obstacles), I was dead. A zombie bride delivered the final blow. I was pretty much the first dead person in my wave, which was embarrassing, but it also gave me an important role: zombie bait. I felt like Rick from The Walking Dead as I immediately became the leader of the group. I ventured first through remaining zombie gauntlets, running like I still had flags, waving my arms and screaming "I'M DISTRACTING!" as zombies unsuccessfully looked for remaining flags on my belt (while my fellow racers whizzed by untouched). The race continued like this, and through it, a sense of camaraderie emerged, which made this race exponentially different from your regular road race. In packs, we would strategize, shout warnings to runners behind us about zombies on the trail ahead, and some participants would even stop on top of hurdle-type obstacles to give an arm to and help as many as 20 fellow participants get up and over the obstacles. The whole race was a sort of "renewing my faith in humanity" thing. We didn't even know each other's names, and yet people would do things to help others without question, without hesitation, and without even having been asked. Case in point, when I struggled with the six-and-a-half-foot hay bales due to my aforementioned lack of upper arm strength, a fellow runner literally got down on his hands and knees in front of the bale, making a bridge with his body and wordlessly proposing that I step on his back to make my way up. I looked at him like he was nuts and said, "Are you absolutely sure you want to do this?" He remained on the ground, saying, "Yes, do it, just don't make a running start!" I complied, leaving him a big muddy footprint on his back as a reminder of his good deed. When we approached the finish, it was the biggest gauntlet of all. At least 15 zombies were waiting. The majority of our wave had died, so we waited beyond their reach for someone who still had a flag left. When he arrived, there were at least eight of us with no flags remaining, and we collaborated a sort of quarterback sneak so he could get through alive. We dead runners ran first, trying to distract as many of the zombies as possible to allow for the alive runner to sprint through. He nearly lost the flag after tripping and falling after rolling to the left around a zombie, but he got up and booked it to the finish, alive. Those of us who helped him through that last gauntlet screamed and cheered as he crossed the finish line with one flag left. I finally army crawled myself under the finish line and soaking wet, freezing, and covered in a thick layer of mud, all of us celebrated at the finish and got our medals -- I got the "Infected" medal for crossing the finish line dead. People with at least one flag left got a "Survivor" medal. All racers over 21 were also rewarded with a free beer. I had a really fantastic time at the race, and it was definitely a unique experience unlike any other race. I will say that it was really, really hard. Having been pretty much strictly a runner for the past year, this had basically no principles of an endurance event. It was actually more like a High Intensity Interval Training (HIIT) race. The event was essentially a series of repeated intervals -- an obstacle that typically required jumping over, crawling under, or climbing up it, a walk to a gauntlet, and then a full-on sprint through the zombie gauntlet, with some lateral, tennis-like movement thrown into the sprint (which left everyone, even the most fit runners, doubled over and wheezing afterwards). 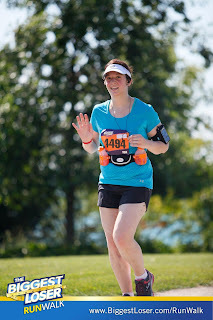 Even my triathlete PIC said at one point after a gauntlet, "I'm not as fit as I thought I was." My main aim for this race was of course to survive, but after that didn't work out, I was determined to do all of the obstacles despite being dead. I saw a few people just skip the obstacles after they "died" because they figured what was the point? I'm already dead and that looks hard. But I signed up for an obstacle race, and where's the fun in skipping obstacles -- skipping what's difficult -- just because you're dead? And more importantly, I wanted to do all of the obstacles to prove to myself that I could. Sure I didn't do all of them particularly well, and needed help from other runners on some, but the point is that I went into them gung-ho. Even when my knees were bleeding from crawling through the second rocky mud pit, I did it. Even when I came up to a big hill, I'd run up it even though I didn't have to, pretending it was hill repeats as part of my half training since Chicago lacks hills. I kept jogging through zombie gauntlets. Even if I wasn't at an all-out run like I would be if I still had flags, I at least picked up my pace considerably. It was really difficult and reminded me that I need to not only work in more HIIT, but also some upper body workouts. I would 100% do this again, and I'm very glad that I found a partner in crime for the day, as it kept me accountable for someone, which made it a little bit more fun. Next year, I might even register for a zombie shift, it looked like fun. A lot of people that I saw in my wave and other early waves ran the race and then went to get done up as a zombie for a zombie shift, and I think I may opt for that. In conclusion, Run For Your Lives was a race worth waiting two years for. Next year, I'll bring fingerless gloves and some kind of additional knee covering for the rocky army crawls, but consider me in. I visited my new therapist today, and was looking forward to the visit, in that she not only specializes in the usual suspects, but also obesity, eating disorders and weight management (thus her appeal when I selected her). I was telling her about my issues with the scale and not being able to let go of it, and feeling stress over the scale and the numbers it would show me. She nearly interrupted my pity party and abruptly asked me, "When you step on the scale, what does that number mean to you?" I stopped, speechless. "I have absolutely no good answer for that," I thought. Seeing that she'd elicited the reaction she'd expected (baffled silence), she continued, "That number on the scale, that number inside your jeans, that's not what matters. The fact that you're healthy matters. The numbers can change and come and go but in the end, being healthy is what's most important. That should be your goal." I was taken aback a little bit. I'd never heard that concept described so perfectly before. Sure, I'd heard from people that the number on the scale doesn't matter, but I'd never heard the second part about how healthy is what matters. Healthy is what should be most important. Who cares if I'm a size 4 or 6 or 8? I'm very active, I'm eating good foods, and I'm taking care of my mental health. Check, check, check. Why should a digital number on a scale or a number printed on a clothing tag define how I feel about my body? My health? My life? I told her about how, among four cakes at work yesterday, I ate one small piece of cake and still felt guilty about it. "You're allowed to eat a piece of cake. There's nothing wrong with that." And you know what? There's not. There's still a huge difference between what I used to do and what I do now. Way back when, I might have had a small piece -- of all four cakes. Then I would have sat around, inactive all week. It is OK for me to have one small slice of cake on a random Monday. I am active enough that I can afford the small splurges every now and then, and I shouldn't have to feel shame or guilt about doing it. I didn't overdo it. I had a taste and left it at that. Instead, let's focus on the good numbers: for me, it might be my 44 resting heart rate or my body fat percentage that lands me within sneezing distance of the "fitness" range after just a year of running. It could even be something totally unrelated to health or fitness. For instance, I'm damn proud of my current 3.95 cumulative GPA in grad school at Northwestern, now over halfway through the program. That's a number to be proud of, not the number on a tag in my pants. I was reminded of the new Special K campaign, "You're so much more than a number," that nearly brought me to tears when I saw it on TV recently (even re-watching it when I found the YouTube clip just now brought tears to my eyes again). In the beginning of the commercial, women talk about how jeans shopping is stressful and depressing because, as we all know, trying things on in a particular size and then realizing they don't fit you can be a very disheartening experience. The women in the commercial instead are measured at size "Radiant," "Confident," "Strong." "Not seeing the number is so freeing," one woman says. To finish my session, my therapist also made the point that what I went through, overeating, is very much an addiction. "You've reached 'sobriety,'" she said. "Now is the time when you figure out what to do with it." So I'm going to start living right now. As in the Special K commercial, I'm "rethinking what defines me." That is the first sober choice I make. If you would have asked me a year ago who Bart Yasso was, I probably would have said, "Who?" Then I became a runner. And Bart Yasso's name became as ubiquitous to me as the names of Michelle Kwan and Midori Ito back when I was a competitive figure skater. His name first became apparent to me when I really got into the running and subscribed to Runner's World. He holds the coolest job title in the world as "Chief Running Officer" of the magazine. Yasso himself describes the job as "getting paid to go to races every weekend." He explains that he's only home for about 4-5 weekends out of the entire year, because every other weekend he's at an event (like the one I'm about to talk about) or spectating or participating in a race. He doesn't just have the coolest job in the world. He's also an incredible inspiration. He has run a competitive race on every continent on Earth (yes, including a marathon in Antarctica). He has run a 146-mile race in Death Valley in the middle of summer. He has run a marathon on top of Mt. Kilimanjaro while struggling with yet-undiagnosed Lyme Disease. He's won one U.S. National Biathlon and one marathon (1998 Smoky Mountain). He has an entire marathon training/predictor system named after him. Oh, and he only started running when he was 21 years old. And he suffers from Lyme Disease, which has neuromuscular side effects similar to Bell's palsy (which was the incorrect diagnosis Yasso first received at symptom onset in Africa in 1997). Needless to say, Bart Yasso is an inspiration and a major public figure within the sport of running. When I saw that Runner's World was co-hosting a running form clinic with Newton shoes in Chicago with Bart Yasso this past weekend, I jumped at the chance to participate. I arrived at Fleet Feet Old Town in plenty of time to receive a nice goodie bag, which included some back issues of Runner's World (which, as a subscriber, I already had) but also a free copy of Yasso's memoir, which I incidentally had put on my Amazon wish list just a few hours prior to arriving at Fleet Feet. I'd been communicating with Bart on Twitter up until the morning of the event, and he asked me to introduce myself to him when I got there. The second I walked in to the lecture area Bart was 6 inches from me but was talking to someone so I did not bother him. I signed in and sat, and then Bart walked past me. I stepped up and said, "I just wanted to catch you when I could, I'm Erika..." Bart looked at me before I even finished that I was Fat Girl Run and said "Yes! Erika! So nice to meet you!" while hugging me. I am getting hugged by Bart Yasso right now, oh my god, I was thinking. The clinic itself was very helpful. First, Bart spoke about his experience and told some of his, er, gritty race experiences. Paula Newby-Fraser was also in on the clinic. Newby-Fraser is a South African woman who has won the Ironman Triathlon (the Kona World Championships) 8 times. She qualified while in South Africa and once she traveled to Kona, she realized she did not want to go back to South Africa because she would not have the opportunity to be a professional triathlete in South Africa. Instead of going back to South Africa after her first Kona Ironman, she relocated to San Diego. She then, you know, won Ironman 8 times. We got a quick overview from the Newton shoes Chicago rep and were invited to demo shoes on our expedition, so I took advantage, because, why not? Try a pair of shoes I never had before. So I put on some Newton Gravitys for the run. We jogged about a half mile to Lincoln Park so we could do some drills. But before we left, Yasso put me on blast. He was talking to someone outside before we left about how running saved his life (he was deep into alcohol and drugs before he turned to running) and I walked out and he pointed to me and said I told him that running saved my life on Twitter about two days prior (true). "What was your previous weight?" I went into a little more detail about how I lost on Jenny and then went off it and gained it all back and then lost it on my own again and added in running when I was about 180. Bart just thought that was amazing. Anyway, once we got down to Lincoln Park, we did a bunch of drills we could use to correct form mid-run. Say you're feeling like you're just drooping during your run. Simply do the Superman (throw your arms behind you like a cape) and your form automatically corrects. While doing the drills, I heard nothing but good things about my form, which made me feel better. We jogged on back to Fleet Feet and Paula had to leave during the drills we did in the park, but Bart remained. Since we'd received his book in our goodie bags, I took the advantage to have him sign it and also to get a picture with him. Bart's motto is, "Never limit where running can take you." Geographically, physically, emotionally, mentally, he means all of that when he says that. And you know what? When I was struggling majorly through my Sunday long run, I was sitting in the gym locker room midway through in a come to Jesus pep talk moment and I thought to myself, "What would Bart Yasso say if you gave up on this long run for no reason right now?" I got back up on that treadmill and finished my long run, not matter how crappy and how long it took me. 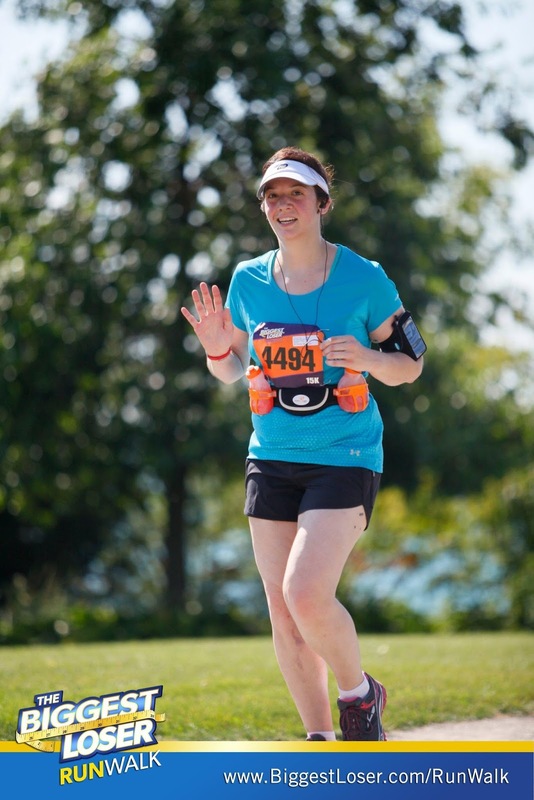 "Running is the Worst Thing You Could Do"
Imagine that you have a chronic knee condition. Imagine that your kneecaps, instead of sitting flat on your knees, sit at about a 35 degree angle downward toward the outside of your knee. Imagine that every time you take a step, your patella (kneecap) is grinding against your femur (thigh bone) to the point where small shards of your femur are floating around in the fluid around your knee. Imagine that pain of your bones grinding together. Got that lovely vision down? Congratulations, you just imagined yourself as me. And what you've just imagined is the bilateral patellar subluxation that I live with every day. Surprised? Considering that I am a runner? If you were to speak to my orthopedic surgeon who first diagnosed me nearly 10 years ago, he'd be surprised too. In fact, when he first diagnosed me, he told me the following: "Running is probably the worst thing you could do." So what exactly is patellar subluxation? In the most general terms, it means that my kneecaps don't sit where they're supposed to. It means that the tendons running along the outer part of my leg are so tight that they're pulling my kneecaps toward the outside of my knee. This creates tremendous pressure in the now-tiny space between the edge of the patella and the femur. In fact, a common co-morbid disorder associated with patellar subluxation is patellofemoral pain syndrome, the aforementioned grinding of the patella against the femur. PTPS is also commonly referred to as "runner's knee." Are my orthopedic surgeon's comments starting to make sense? At the time of my diagnosis, I was already overweight (not yet obese) and fairly sedentary. I would often experience runner's knee pain just by bending down, say, getting something out of the backseat of my car. Sitting for long periods of time was agony. Standing for long periods of time wasn't much better. There are some treatment options for patellar subluxation, including physical therapy, anti-inflammatories, weight loss (of course) and an extremely invasive surgery called "lateral release" which involves cutting ligaments to allow the patella freedom to move into its proper place. This surgery, as you might imagine from the description, also involves a very long, painful recovery. Not to mention it involves cutting ligaments. Ew. I feel like those would probably be important. Also, gross. Now looking back, I often find it interesting that my orthopedic surgeon said that running would be the worst possible thing for me. Since running and losing all the weight that I have, my knees have felt better than ever. I used to experience pain just by standing still. Now, even while steadily increasing my mileage (28 miles last week) my knees have never been healthier. The subluxation can't be cured, but the fact that since losing weight I have felt nearly none of the knee pain that used to nearly cripple me when I was obese is really saying something. Of all the running injuries I've experienced in the past year of running, my knees have never been injured. Sore? Sure. But no more sore than any other body parts during a long run. I've hurt my hamstrings, hips, ankles, shins, and calves, but never my knees. Running is the worst thing I could do? Au contraire. It ended up being the best thing I could do for my knees. At the Biggest Loser RunWalk expo, during Danni Allen's talk, a woman that looked no older than 23 asked a very relevant question. Having already lost 175 lbs with a few more to go, the woman said that she was having issues with body dysmorphia and still seeing herself as her obese self. She asked how Danni dealt with these feelings. I nodded emphatically as the woman asked the question. Since reaching goal, body dysmorphia is something that I have struggled with as well. The dysmorphia I'm experiencing now is the opposite of what I experienced when I was obese. When I was obese, I would look in the mirror and see photos of myself and not see myself as morbidly obese. I thought I looked fine, even as I would lose my breath tying my shoes. Now, I look in the mirror at a woman of healthy weight and BMI and still see something with which I'm not happy. It seems absurd, since I know I should be very proud of my accomplishments, and I am, but I still am having trouble letting go. The demon I'm still facing is very real, and is sitting just a few feet away from me in this room as I write -- it's the scale. As useful as it was during my weight loss, the scale is now my worst critic. But I can't break it off with the scale. I'm still so tied to the numbers on the scale, and it's getting to the point where I'm doing myself more harm than good by stepping on the scale every few days. This is particularly an issue at the moment because I'm still having a very hard time balancing my food with my half marathon training. Now running upwards of 20 miles a week, I know that I have to be increasing my calorie intake because of the work I'm doing. However, this means that I'm suddenly basically eating everything in sight, which, after losing 90 lbs and exerting such self-control for so long, brings on immense feelings of guilt. I've gained a few pounds back with my half marathon training since I probably am eating a little too much for my training, and each time I step on the scale, I feel shame. I know that it is all in my head, and it is all totally self-inflicted. I look at the number on the scale, think "oh my god you're such a fat cow right now." Then I look at myself in the mirror, and because I thought it, that is what I see. I felt it earlier today when I ate way too much of things that I should not have at some friends' party this afternoon. I went into the party thinking I needed to get a handle back on my eating habits during social events, since my choices lately have, well, sucked. Did I eat as much as I would have during my obese days? No. I probably would have helped myself to two more crab rangoons and another one or two pieces of birthday cake. But I was still disappointed in myself for not living up to my own promises. As penance, I went to the gym as soon as I got home and ran until the gym closed. But running should not be a punishment. It didn't even assuage much of my guilt. Sure I burned off a bit of what I ate, but I still am upset with myself that I ate it and that I lost control. Again. I'm mad that keep calling myself a fat cow to the point where I see it in the mirror. I'm upset that I still allow the scale to control me, causing me to lose control over myself. More than ever, I realize that it is time to put away the scale -- put it out of sight completely. If the number I see is just going to make me upset all day, I need to break off my relationship with the scale. It's gotten to be a toxic relationship and I need to do what makes me happy. I need to learn to love my body, "warts and all" as they say, and not punish it by not only eating bad food, but then later, out of guilt, depriving it and "disciplining" it with workouts. I need a full body-love attitude makeover. It'll require me to grasp control of my eating habits and rid my pantry of the foods I know I tend to binge on when I'm thinking "I ran 7 miles today, I can eat whatever I want." It'll require me to store the scale out of sight, and find the fun in running again. It'll require me to stop calling myself a fat cow, even when I feel like it. It is not what is actually reflected in the mirror and the self-negativity helps absolutely no one. I need to start loving myself again. I wanted a good filler 10K in the midst of my half marathon training, so I got it in the form of the Buffalo Grove Stampede, part of that town's BG Days, a village festival. Buffalo Grove is very close to where I grew up and not too far from where I live now, and the Stampede is also a CARA Circuit Race, so I signed up so I could get some points with my running club. I arrived in Buffalo Grove and managed to find a parking spot in one of their designated parking locations. Thankfully, I did not have to park at the movie theater and take the shuttle bus to the starting line. I couldn't imagine the smell on the ride back on one of those school buses! The registration area was pretty easy to figure out -- I picked up my packet without issue, but then over the loudspeaker came the announcement that they placed the B-Tags on the bibs in the incorrect orientation and we would have to turn the bibs sideways. Not a big deal, but I had just pinned on my bib when I had to take it off and re-pin it! I found the Oak Park Runners Club participants and joined up with them pre-race to chat. Side note: I am very happy that I have now met several members. It's nice to have some folks to chat with before and after the races! Now, as to the race itself. I'll start with the positives. The course was lovely. I was a little worried when I read the disclaimer that 60% of the 10K course was a crushed gravel trail, since I had never run trail before, but it ended up being totally fine, and actually better on my joints. Once we got back to asphalt after going through the trail, my knees were like "Nooooo!" And that brings me to the negatives. This obviously was no fault of the organizers, but it was blazingly hot. By starting time, it was over 80 degrees with over 60% humidity. The sun was just beating down in a cloudless sky and the course was literally shadeless. By the time I finished, it was 90 degrees outside. One thing that could have been done about this is the race start time. When I checked the weather forecast for Sunday, I was expecting a race start time temperature of about 70 degrees. Wrong-o. First of all, the 5K started at 8:00am. The 10K, however, started at 8:22am. In my opinion, that is just an incredibly late start, particularly for a 10K. Starting a 10K at nearly 8:30am on a weekend that still is usually warm in Chicago seems nuts to me. This may just be a personal opinion, but races should always start at 7:00am or earlier, no matter the season. I was displaying symptoms of heat exhaustion by Mile 4. My goose bumps were out of control, and my body depleted itself of fluid so rapidly that I literally had stopped sweating. I had hydrated myself a ton the day prior and the morning of the race, but I had no more fluid to even sweat out. As soon as I crossed in a fairly the finish time, in a time that was quite disappointing to me if I'm being honest, I had to run for the shade and sit down. As soon as I did, I thought I would faint. I hope that the 76-year-old man that crossed the finish with me then nearly collapsed is OK.
Obviously I'm fine now, but it was a very tough race for me. I would love to do it again next year, but maybe I'll do the 5K instead. Hopefully things will cool off before my long-awaited and long-anticipated Run For Your Lives race in three weeks! I'd be so mad if I overheated and had a miserable time at that event since I have been looking forward to it for so long. But on to the next, each race is a learning experience, and I certainly learned from this one!